If you are living in the Milton area and you are looking for high quality motorcycles around Milton, then Budds’ Motorrad Oakville has got the premium selection that you want. Budds’ Motorrad is home to many different types of motorcycles, and we are certain that you will be able to find the motorcycle that suits your riding needs and your budget. Whether you are looking for tour bikes, heritage bikes, adventure bikes, sport bikes, or roadster bikes, Budds’ Motorrad has got many high-quality motorcycles for Milton residents that you can choose from. Along with our selection of premium quality motorcycles, our customers will also experience world class customer service when they step foot into our dealership. Budds’ Motorrad prides itself on providing our customers with the highest quality customer service to go along with our high-quality motorcycles in the Milton area; it goes hand in hand. 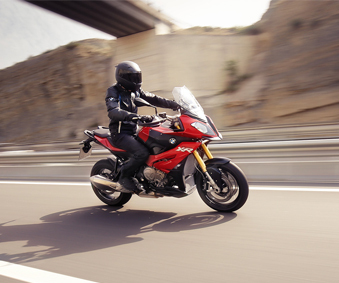 Budds’ Motorrad is responsible for providing fascinating and dynamic motorcycles for every purpose. Every motorcycle enthusiast will find just the right machine at Budds’ Motorrad Oakville and whether you are taking a trip around the world or having a training session on a race track, whether on an exclusive tour motorcycle or an urban city bike, the high-quality motorcycles in the Milton area that you are looking for are all under one roof. Motorcycling is all about the intense experience of acceleration, braking, sound, and a direct connection with the outdoors. It is for these reasons that Budds’ Motorrad motorcycles are developed perfectly with made-to-measure technical solutions and innovations for motorcycling. All of the high-quality motorcycles around Milton at Budds’ Motorrad in Oakville are constructed with this in mind, and you are guaranteed to experience pure exhilaration when you ride a Budds’ Motorrad Oakville motorcycle. Budds’ Motorrad service stands for quality and precision right down to the last detail. It doesn’t matter if you are in for a vehicle check, maintenance, or repair, every service package at Budds’ Motorrad allows you to rely on our very qualified and experienced technicians’ expertise. Our technicians will always ensure that everything is perfect on your motorcycle, so that the value of the motorcycle remains intact for many years to come. Budds’ Motorrad Oakville technicians are trained regularly and intensely to ensure that they have up to date knowledge and skills that they can project onto your motorcycle. If you are living in the Milton area and you are looking for high quality motorcycles around Milton, then you should visit Budds’ Motorrad in Oakville. If you would like more information about Budds’ Motorrad and the high-quality motorcycles that we have in stock, please feel free to continue browsing through our website, or you can contact us via phone or email.